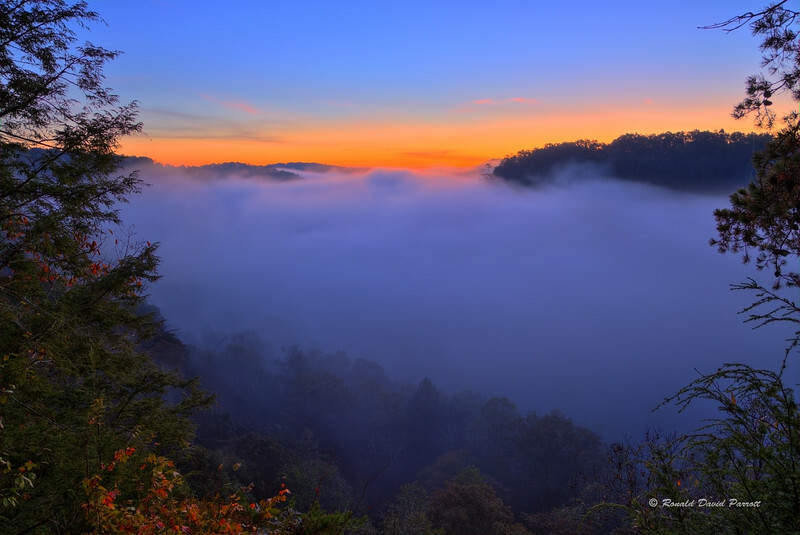 This photo captures the beginning of a dramatic early morning show in the Daniel Boone National Forest. Night is transitioning into day only to reveal a thick layer of fog. So the mystery of what's below is prolonged a little bit longer. Sweet anticipation!